Simplified, limited ingredient diets more closely resemble the diet that nature intended for your pet and may be easier for some dogs to digest. 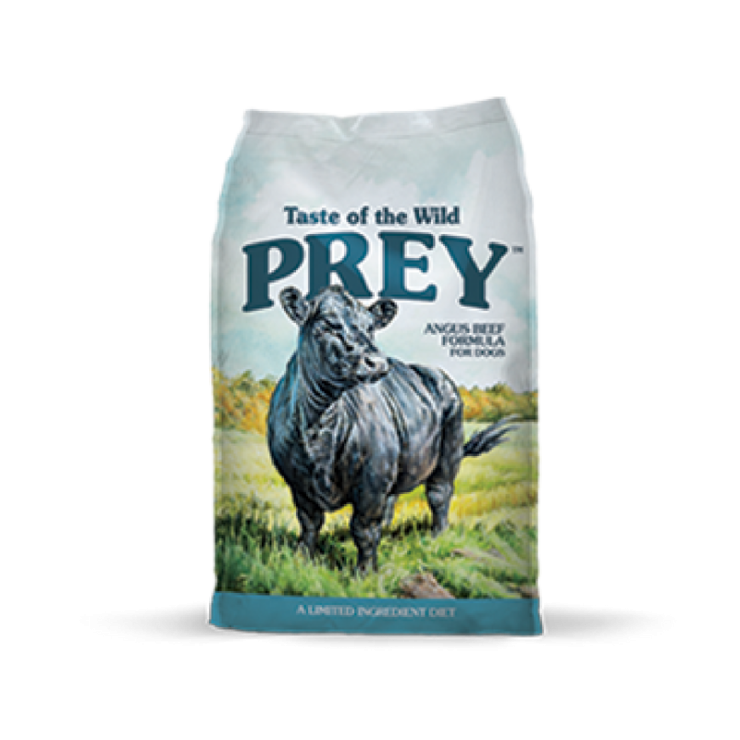 Taste of the Wild Prey Angus Beef Limited Ingredient Formula for Dogs features pasture-raised Angus beef as the first of just four key ingredients. Despite having limited ingredients, your dog won’t miss out on flavor or nutrition. Guaranteed probiotics help support digestion, while precise levels of vitamins and minerals, guaranteed antioxidants, omega fatty acids and DHA help ensure your dog gets the complete nutrition he or she needs, all with the rich, red-meat taste of beef dogs crave.